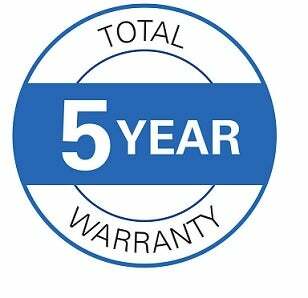  Includes 5 year manufacturer warranty ?  3D FlexGlide® Massage Engine? 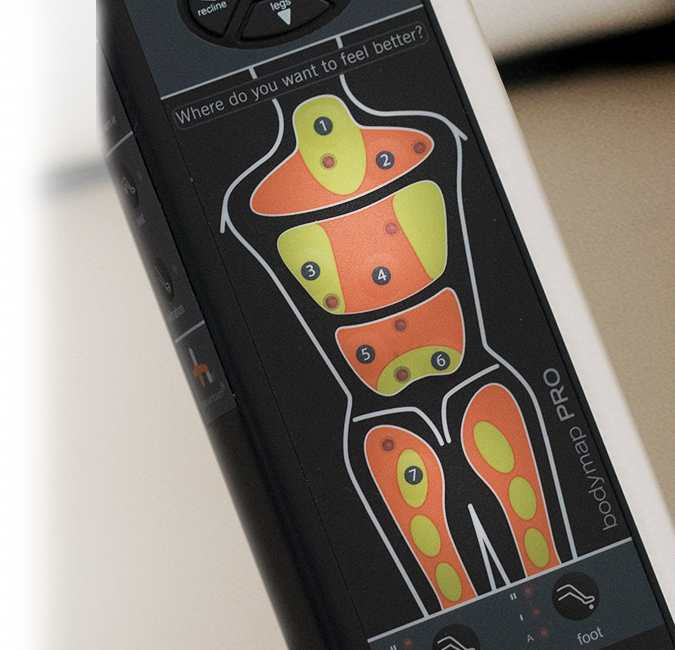 Enjoy a soothing, sensitive massage technology that delivers a stress-reducing experience like never before. 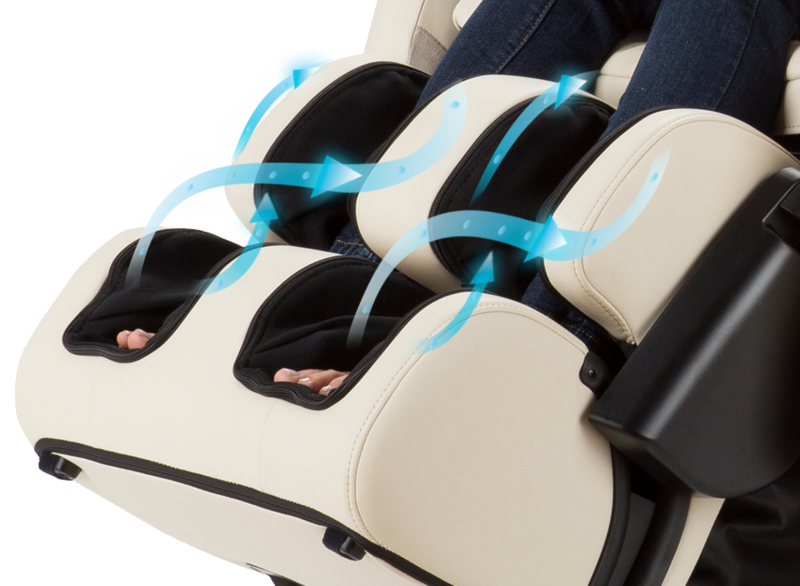 Free from the pinching and friction associated with typical massage chairs, the FlexGlide technology offers seamless glide to help you bask in the glow of ultimate relaxation. 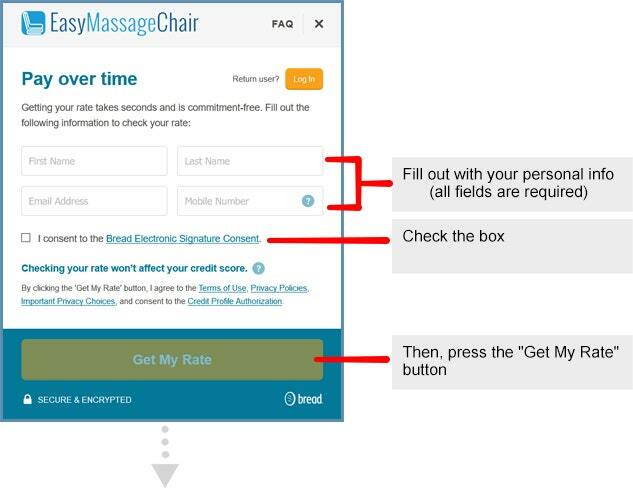 Choose from four massage auto-programs to easily take you from stress to sleep. Using patented technology, continuously flowing warm air gently envelopes your back, soothing tight muscles and relieving pain. 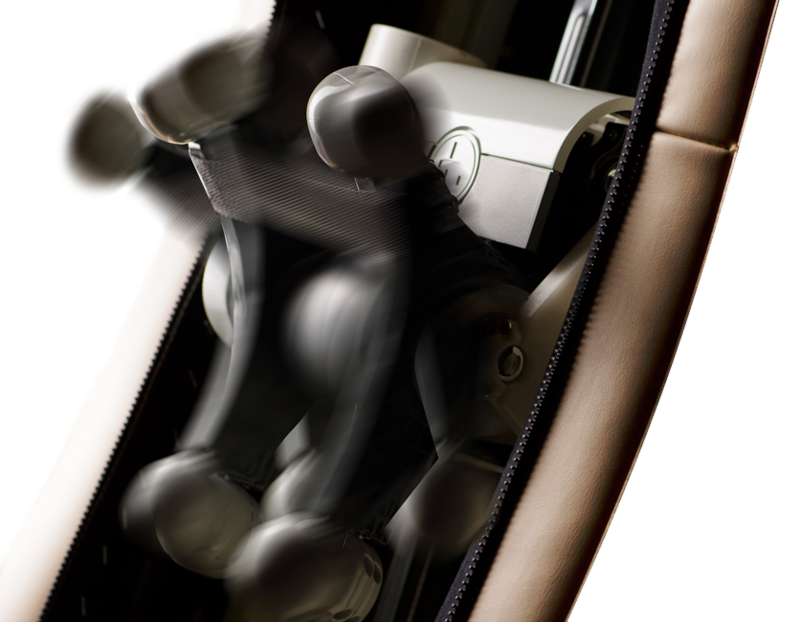 One-step and hold moves the ZeroG 5.0 into the zero-gravity position that relieves pressure on the spine at any angle. The fully encompassing, extendable foot and calf massager is designed for a therapeutic massage complete with vibration and proprietary Figure-Eight® Technology that helps to improve circulation. Under-foot rollers provide a reflexology massage while the foot and calf massager extends to your desired position. 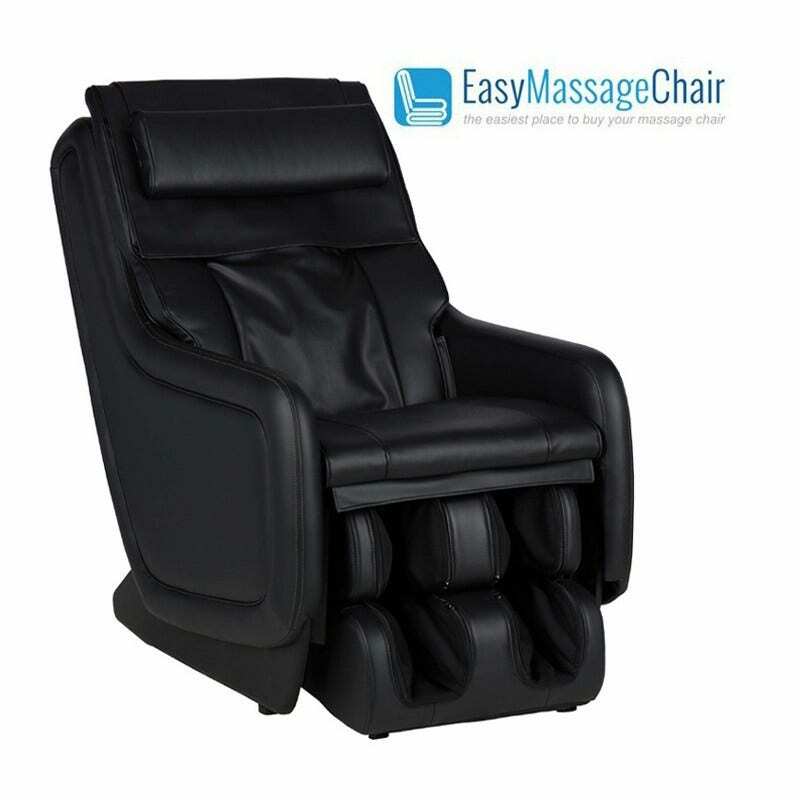 The massager also rotates to a traditional ottoman for a versatile and aesthetic appearance. Enjoy soothing massage technology that delivers a stress-reducing experience like never before, offering a seamless glide to help you bask in the glow of ultimate relaxation. CirQlation Technology massages the calves in an upward, wave-like motion, forcing blood toward the body's core. 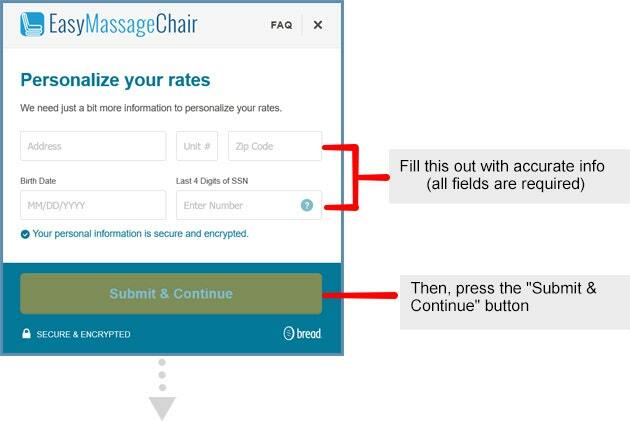 Simply press where you want to feel better, then sit back and let the chair do the rest! This item includes a total of 5 years manufacturer warranty. A qualified technician would be sent to your home to provide service if you ever need it. You never have to ship the chair for service. Human Touch® products are backed by limited warranties against defects in materials and workmanship. 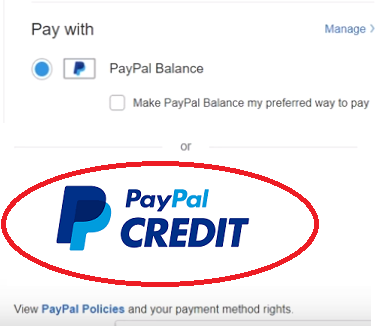 The information provided here is an overview of our warranty program. For products not listed or sold prior to April 1, 2011, please refer to the original product owner's manual. Warranties do not cover any loss or damage resulting from: improper installation; unauthorized repairs; alterations or modifications of original condition; improper use of electrical/power supply, loss of power; electrical disturbances and power surges; dropped product; a malfunction or damage resulting from improper or unreasonable use or maintenance; failure to follow operating instructions; transportation damage; theft; abuse; misuse; neglect; vandalism; or environmental conditions (fire, floods, rust, corrosion, sand, dirt, windstorm, hail, earthquake, or exposure to weather conditions); loss of use during the period the product is at a repair facility or otherwise awaiting parts or repair; and products purchased from unauthorized dealers. Damage incurred due to shipping and handling does not constitute a defect under this warranty. 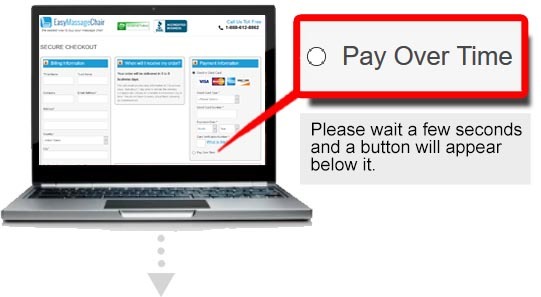 Proof of purchase (original receipt) is required for all warranty repairs or service. It is the responsibility of the consumer to: operate the equipment in a manner that is defined in the original owner's manual; promptly report any failures with the product; perform telephone, email and/or chat diagnostic procedures as instructed by Human Touch staff; and allow only authorized service professionals (supplied by Human Touch) to work on the product. Failure to adhere to these conditions could result in the warranty being voided.During the In-Home service and Parts warranty period, Human Touch, at its sole discretion, will repair or replace any defective part within a reasonable time frame. If a particular replacement part is not available, reasonable efforts will be made to locate a compatible replacement part. If a compatible part is not available, Human Touch may replace your product with a similar product. Under no circumstances shall the retail replacement value exceed the original net price paid for the product. In the event you choose not to accept a replacement for your product, Human Touch is no longer responsible for making repairs under the warranty coverage. For In-Home Service, Human Touch will arrange for all covered parts deemed necessary to be sent to the consumer and an authorized service provider to repair the product at the customer's residence at no charge to the customer. For any repairs needed during the Parts warranty coverage, Human Touch will provide parts at no cost; however consumer is responsible for any and all shipping, duties and brokerage fees. Structure warranty is limited to the wooden frame and/or welded parts of the frame for the product. If a replacement is issued under the Parts or Structure warranty period, consumer is responsible for shipping, duties and brokerage fees related to the replacement. Human Touch reserves the right to return a part or product. 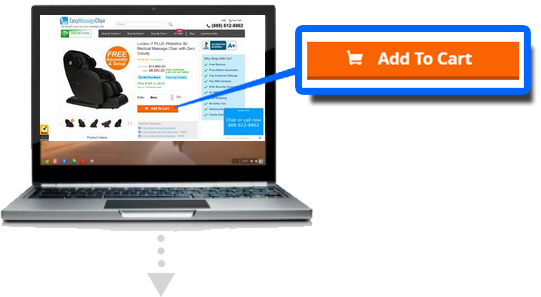 If it has been determined that a part and/or product must be returned to Human Touch, Human Touch is responsible for all shipping charges related to the return of the part and/or product. The consumer is financially responsible for providing the product in an acceptable physical condition. If a product/part is not returned to Human Touch, the consumer is responsible for properly disposing of the product. Alternatively, consumer can request Human Touch to remove the product and would be subject to an Environmental Disposal fee. Human Touch is not responsible for any applicable duties, taxes and brokerage fees associated with returned parts or products. 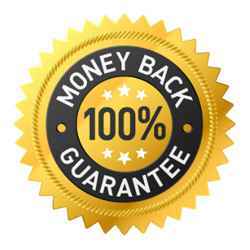 Warranties are non-transferable and shall be in lieu of any other warranty, express or implied, including but not limited to any implied warranty or merchantability or fitness for particular use. Human Touch's sole liability and the purchaser's exclusive remedy shall be for the repair, or at Human Touch's option, for the replacement of the defective part. Notwithstanding the above, if replacements parts for defective materials are not available, Human Touch reserves the right to make substitutions in lieu of repair or replacement. Under no circumstance shall Human Touch or its representatives be liable for indirect, consequential, or incidental damages (including damages for lost profits, business interruption, bodily injury, medical, and the like), even if any party has been advised of the possibility of such damages. Warranties are only valid within the United States and Canada, provided the equipment has been operated according to the instructions accompanying it. Products or parts that are purchased via a non-authorized third party are not covered under manufacturer's warranty. 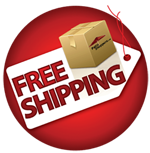 The warranty only applies to the product and does not include any accessories or enhancements.Field Service is only available in the United States and major metropolitan areas in Canada. Field Service requires pre-approval and must be performed by Human Touch-authorized field service personnel to maintain warranty coverage. Softening/hardening of foams and filling composites in pillows, pads, and memory foam kits does not constitute a defect under this warranty as those items naturally change with use. Fading, wear and pilling of fabrics does not constitute a defect under this warranty as those conditions naturally occur with fabrics. Natural markings, grain, and dye variations in leather do not constitute a defect under this warranty, as no two pieces of leather are alike.Standard warranty coverage and liability obligations do not apply to rental or non-prescribed use locations or modes of operation not previously authorized by Human Touch. For questions on commercial, other non-residential use, refurbished, renewed, floor sample and "out-of-box" products, please contact our Customer Experience department. For long-term peace of mind, Human Touch also offers attractive two- and five-year enhanced protection plans, providing you complete in-home service and parts head-to-toe coverage.